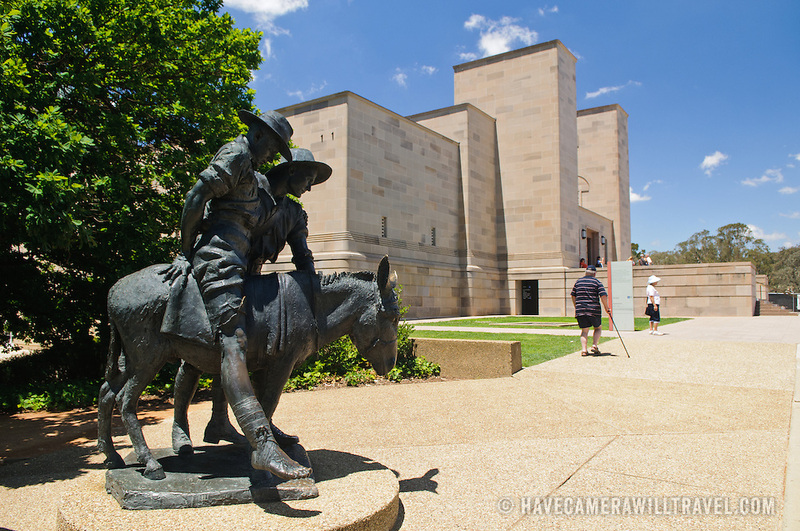 Statue of Simpson and his Donkey at the Australian War Memorial in Canberra, ACT, Australia. John (Jack) Simpson Kirkpatrick (6 July 1892–19 May 1915 aged 23) was a stretcher bearer with the Australian and New Zealand Army Corps during the Gallipoli Campaign, in World War I. After landing at Anzac Cove on 25 April 1915, he obtained a donkey and began carrying wounded British Empire soldiers from the frontline to the beach, for evacuation. He continued this work for three and a half weeks, often under fire, until he was killed. Simpson and his Donkey are a key part of the "Anzac legend". He joined the army so that he might be sent back to England to fight for his own country.